The former UFC Lightweight champion Frankie Edgar targets only big names. This time, he took aim at the former two-division champion Conor McGregor. “The Answer” won his first belt at UFC 112 on April 10, 2010, where he defeated BJ Penn via unanimous decision. His Lightweight title reign lasted until UFC 144 when Benson Henderson dethroned him after five rounds of war. Unfortunately, Edgar has never made to win Featherweight belt. He was defeated both times to Jose Aldo via unanimous decision, at UFC 156 and UFC 200. “The Answer” was slated to face Max Holloway for the title at UFC 218 but had to pull out due to an injury. Then he fought Brian Ortega at UFC 222 where he stepped in as a last-minute replacement for injured Max Holloway. He lost that clash via first-round uppercut KO, and “T-City” became the first fighter who knocked Edgar out. Don’t forget Ortega was a big underdog in this match! His last match was against Cub Swanson, whom he won via unanimous decision at UFC Fight Night 128 on April 21, 2018. ”I’m hoping I get Max. I’m hoping Max sticks around at 45, and we get to finally get to square up. I think it makes the most sense,” Edgar said, speaking with TMZ Sports (via The Mac Life). “We were supposed to link up, and I think a lot of people talk about that matchup. I don’t think he’s fought someone like myself. I could definitely do some different things in there that Ortega can’t. So that’s what I’m gunning for,” he added. Let’s remember, Frankie Edgar was at the top of UFC Featherweight division when Conor McGregor knocked Jose Aldo out at UFC 194. He could have been the next challenger if “The Notorious” didn’t change his weight class. Frankie Edgar would like to remind his grandkids he fought the most popular guy in his division when he gets old. 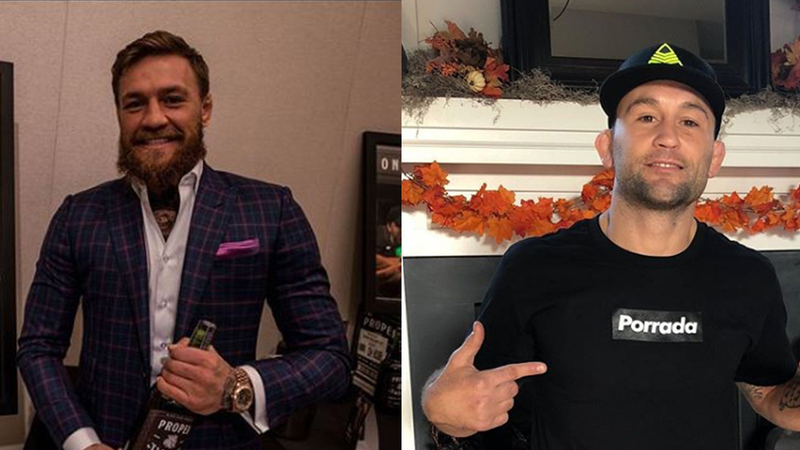 Conor is still under suspension because of UFC 229 post-fight incident with Khabib Nurmagomedov. The match between Renato Moicano and Jose Aldo was booked recently for UFC Fortaleza, so Frankie Edgar could easily come up as the next rival for Max Holloway. What do you think, will Frankie Edgar somehow get a chance to fight Irishman?